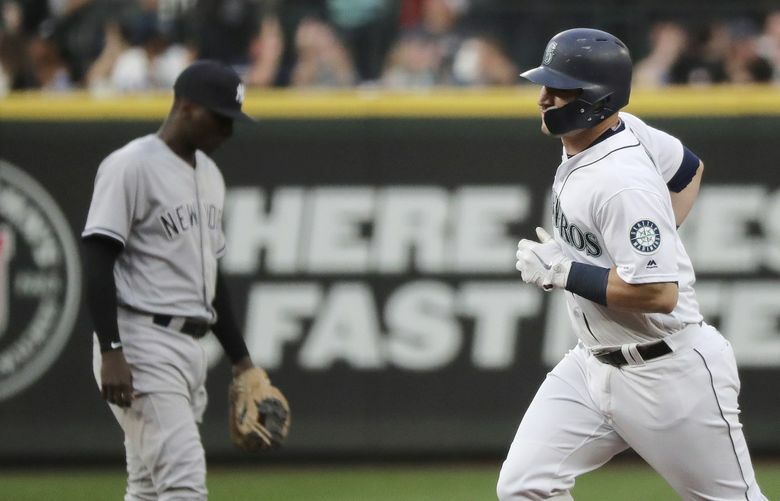 The Mariners have now lost 15 of their past 17 games against the Yankees at Safeco Field. 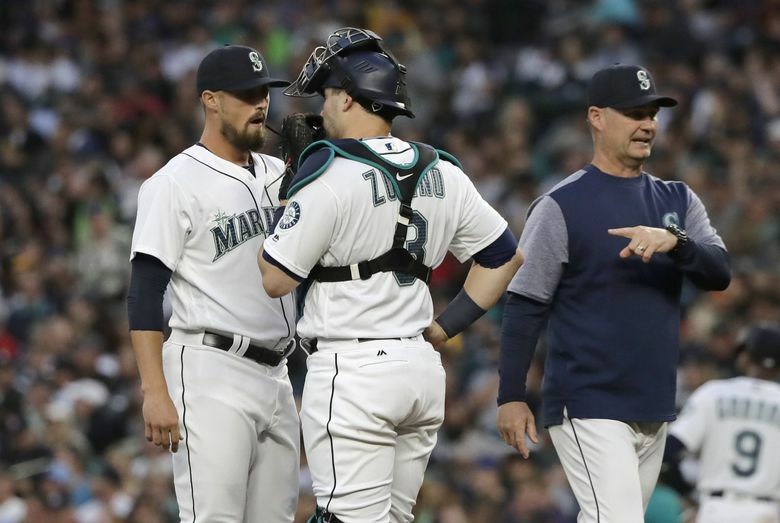 It is getting more difficult to hold out hope, to find the math that works that still has the Mariners right in the thick of the American League wild-card race. Truth be told, trailing Oakland by 7½ games for the final playoff berth in early September, they need an unusual run of perfect baseball to catch the Athletics. But first, they need to stop losing meaningful September games. 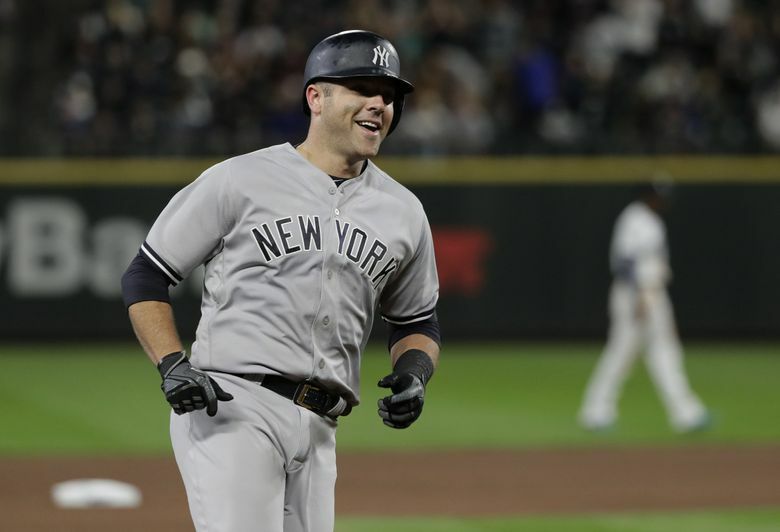 Austin Romine, brother of Mariners utility player Andrew Romine, did them in Saturday. 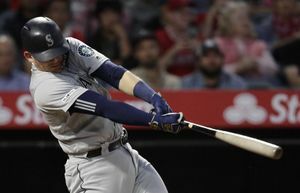 He hit a tiebreaking home run in the seventh inning, and the New York Yankees held off Seattle 4-2 at Safeco Field. At that point, a one-run deficit, even against a fireballing Yankees relief corps, was still doable. 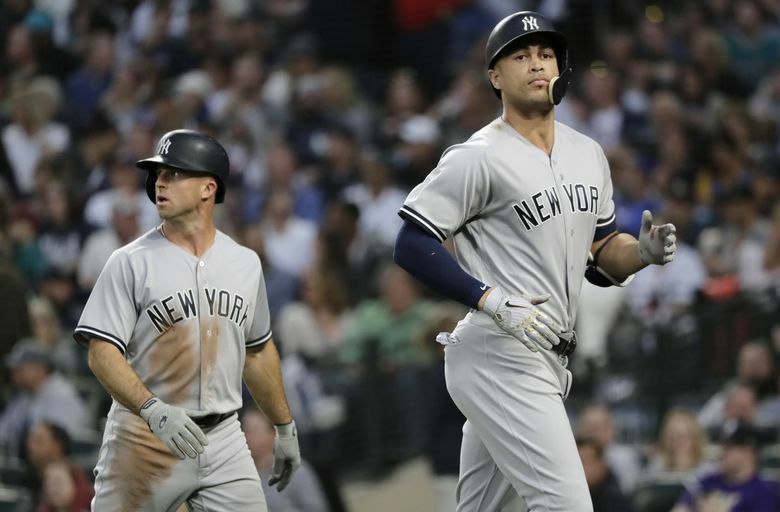 But the Yankees added a final run in the ninth inning on Gleyber Torres’ sacrifice fly to grab a 4-2 lead. 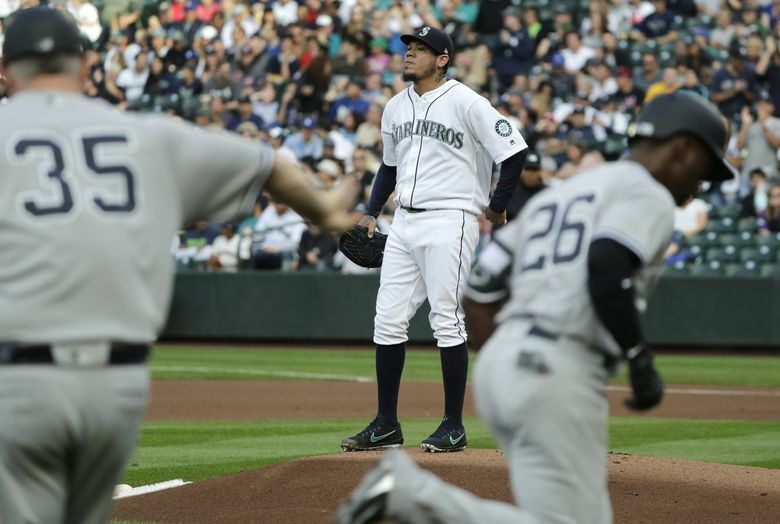 Even so, the Mariners loaded the bases against right-hander Dellin Betances, one of the relievers filling in for injured closer Aroldis Chapman, in the ninth inning. With one out, Span stepped in to face him. He fouled off a few breaking pitches to keep the important at-bat going. He even stepped out of the box to try and disrupt Betances’ rhythm. But Betances got Span swinging over a slider for a strikeout — and second out. And that mistake came on the first pitch to Kyle Seager with two outs. It was a hanging breaking ball that the Mariners third baseman just missed, fouling it back. That was really Seattle’s final chance, because Betances buried two more sliders to put away Seager — and the Mariners — to end the game. 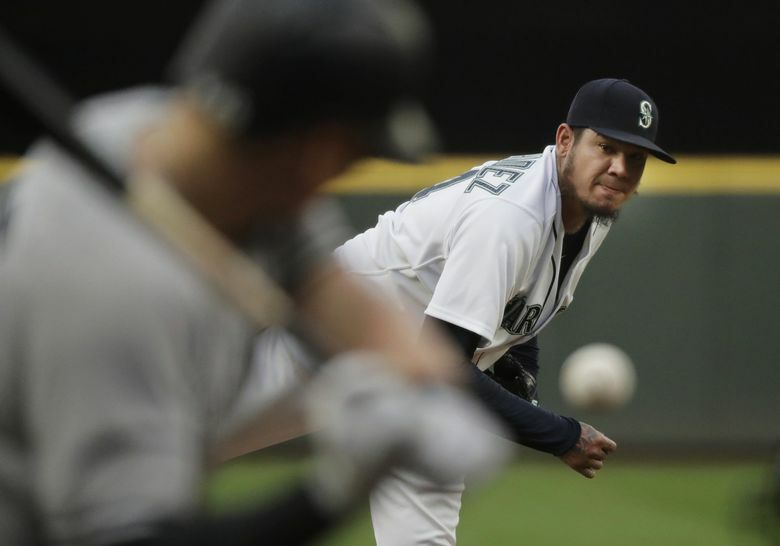 The Mariners desperately needed a turn-back-the-clock pitching performance from Felix Hernandez, but that appeared doomed from the get-go. He gave up a leadoff home run to recently acquired Andrew McCutchen to start the game, and then injured his right hamstring in the next at-bat against Giancarlo Stanton. Hernandez survived into the fifth inning where he walked Brett Gardner and McCutchen in back-to-back at-bats. 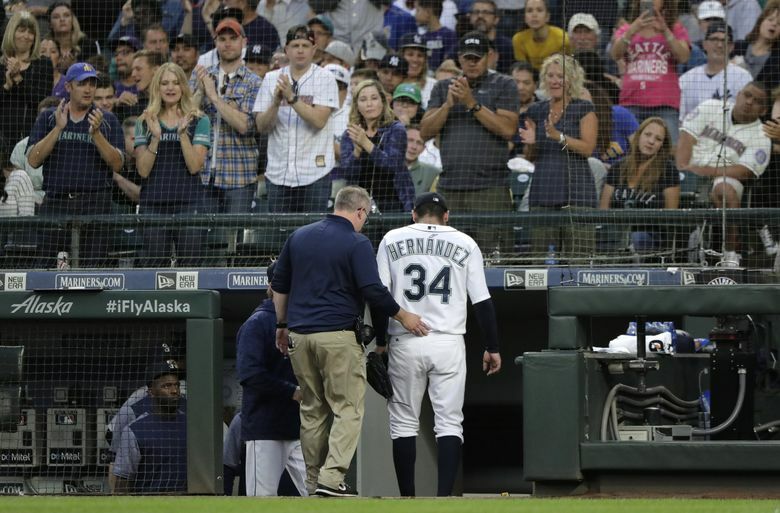 In obvious pain, Hernandez went to the back of the mound where he stood hunched over. Servais immediately came out of the dugout, and after a brief discussion, took the right-hander out after 75 pitches. Hernandez said it’s been a nagging injury since his start in San Diego on Aug. 28. “Yeah, it is a tough year,” Hernandez said. 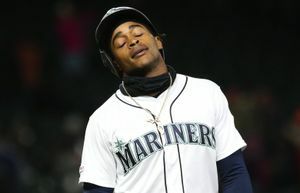 After Stanton’s sacrifice fly gave the Yankees a 2-1 lead in the fifth, the Mariners tied it again on Dee Gordon’s RBI single later that inning. In the seventh inning, Austin Romine took Mariners reliever Nick Vincent deep the opposite way for a home run to right field. It was Vincent’s first run given up at home since Aug. 1 against Houston. With their slim AL playoff hopes dimming, that home run might have been the decisive lights-out wallop on Seattle’s season. A comeback now is improbable, but not impossible. In fact, a precedent exists during the wild-card era. The St. Louis Cardinals faced the same deficit in 2011 (trailing by 7½ games with 20 games to go), and rallied to catch the Atlanta Braves for the final NL wild-card berth.